William was born to be a pirate captain. There is just one problem. He’s the world’s worst pirate. His mother doesn’t understand that what he really wants to be is the world’s best chef. When the ship and its crew are attacked far out at sea, can William show that he has got what it takes to be a pirate captain, or is there another way? The issue of wanting to please your parents by growing up to be what they want you to be is something that I experienced when I was trying to figure out where my talent was at school. When I grew up, I wanted to be a hairdresser who wrote books, but my parents said I wasn’t allowed to do either because I was too smart. So I ended up getting a double major in Coffee Shop at University and graduating with a Bachelor of Arts that is a certificate in a drawer somewhere. I never got to be a hairdresser, but at least I never gave up on my dream of writing picture books. I want them to feel empowered that they can overcome any obstacle, as long as they believe in themselves. I hope they find the little hidden mirrors in my stories that let them see the world more clearly. I think picture books are the perfect medium for raising awareness and starting important conversations with kids. There really isn’t any subject I think that would be off limits if it was written with a child’s voice in an age appropriate way. My stories often deal with issues I faced as a child so in a way, they are like therapy for me. This story was meant to be the sequel to The Pink Pirate. 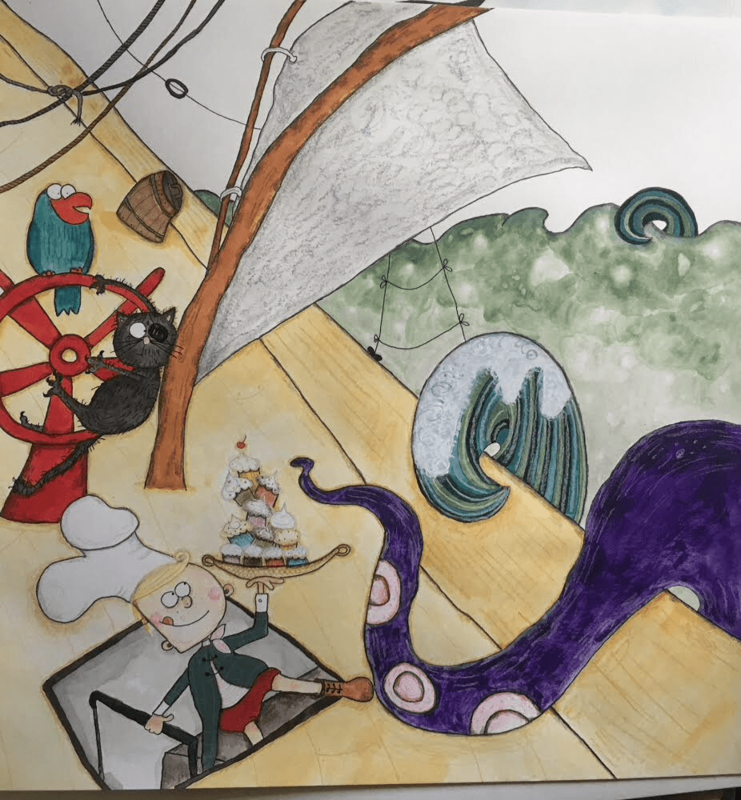 The Pink Pirate is written about my niece Georgia. Her father is the pirate captain Ginger John in the story and the bad pirate is his best friend, Craig, who is a drummer in a heavy metal rock band. The World’s Worst Pirate took on a life of its own and became a standalone manuscript. The Mum is inspired by Aunty Jack, a TV character I loved growing up and William was based on a young Matt Preston from Masterchef. Also, I wanted to have another story with cupcakes in it, because I love having cupcakes at my book launches. My favourite part of the book is when William goes to the galley and cooks to relax. I love cooking with my kids and I hope they have a love of creating yummy treats to share with their own children when they grow up. Little Pink Dog Books were amazing to work with. They are so supportive of the creative process and allowed both Katrin and I to have a part in the shaping of the book, so that it really was a project that we were all equally emotionally invested in. When you write a story, you hope that the illustrator and publisher will love it as much as you do, and when you are all working together to make the best book possible, the result can’t be anything less than success. Katrin and I were on the same page from the very start with this story and I wanted her to have full creative control when it came to making pictures that gave her as much investment in this story as I had. I loved seeing the little extra characters she was creating and she gave me sneak peeks all the time, which made me feel very special. We have had amazing feedback from the kids who have had sneak readings of this book, and they are inspired to think of new recipes that William could make…I’m thinking there could be a spin off cook book on the cards. This books is about breaking stereotypes. Just like there is no such thing as a normal kid, there is no such thing as a normal pirate anymore. What other occupations could a pirate want to have, if they weren’t too busy being a pirate? What other recipes could William cook? What other pets could a pirate have besides a Kraken? The World’s Worst Pirate Book Launch on Facebook. 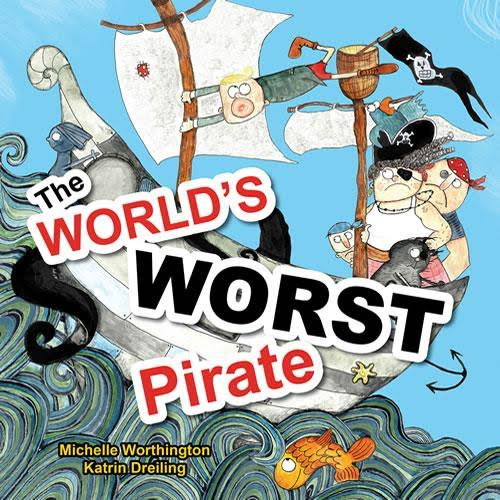 Michelle Worthington is an internationally published award-winning author of empowering picture books that celebrate diversity for children of all ages. Her goal is to inspire all children to believe in themselves and encourage reluctant readers to fall in love with books. Two-time winner of the International Book Award for Children’s Hardcover Fiction and finalist in the US Best Book Awards and Book Excellence Awards, Michelle also received a Gellett Burgess Award for Children’s Literature and a Silver Moonbeam Award for her contribution to celebrating diversity in Picture Books. 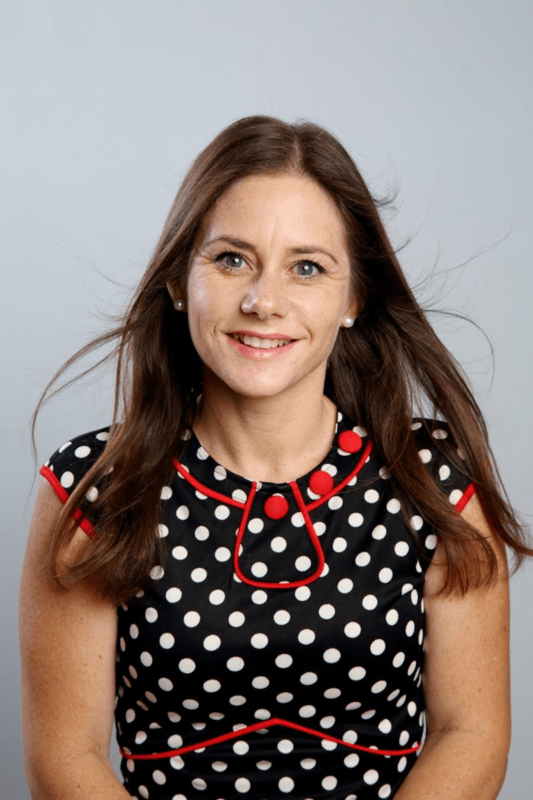 As Director of Share Your Story Australia, she is dedicated to helping aspiring authors realise their dreams of becoming published and creating an empowering community of mentors, artists and educators. The book looks fabulous. I must say Katrin’s illustrations look gorgeous. Can’t wait to see the whole story!